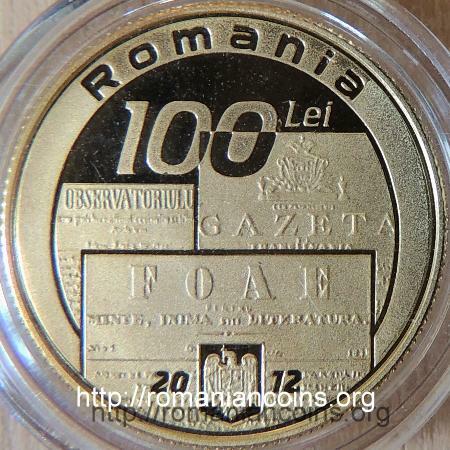 Obverse: ROMANIA, face value 10 Lei, year 2012, coat of arms of Romania, images with the headers of three of his publications: Observatorul, Gazeta de Transilvania, Foaie pentru Minte, Inimă şi Literatură Reverse: effigy of Bariţiu, years 1812 and 1893, inscription "George Baritiu"
George Bariţ was born at Jucu de Jos, near Cluj, in 1812. His father was a Greek Catholic priest. George Bariţ studied theology at Blaj, and then settled at Braşov, where he worked as a teacher at a Romanian high school. Bariţiu is the founder of Transylvanian press in Romanian language. In 1838 he founded at Braşov Gazeta de Transilvania (which later on bore the name Gazeta Transilvană and Gazeta Transilvaniei), which in the first years had weekly or twice a week issues. 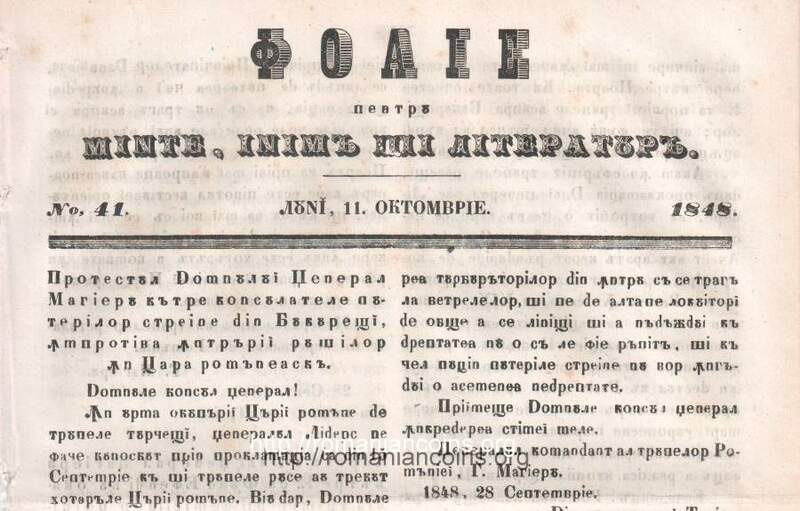 Between 1838 and 1865 Gazeta has published a literary supplement called Foaie pentru Minte, Inimă şi Literatură [Sheet for Mind, Heart and Literature]. 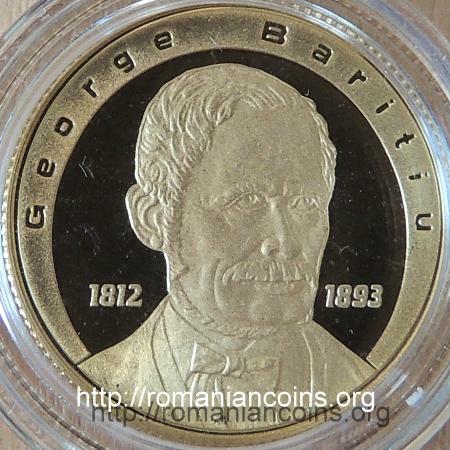 George Bariţiu participated to 1848 Revolution in Transylvania. He was one of the vice-presidents of the Great National Assembly from Blaj. In 1861 he participated to the foundation of the ASTRA society - Transylvanian Association for Romanian Literature and Culture of the Romanian People. He was the first secretary of the society, being later elected president, position he held between 1888 and 1893. Bariţiu was one of the founding members of the Romanian Academy. Observatorul (The Observer) publication was founded at Sibiu in 1878 and was issued over to 1885.